Window Wise offer a range of high quality, made to measure and affordable bi folding doors to improve the value of your home, add security and help to keep your home warm and energy efficient. We offer you the opportunity to customise your bi folding doors to your own personal taste and requirements, giving you the scope to alter colour, size, shape and everything in between. Also providing installation, we are an obvious choice for bi folding doors. Here at Window Wise we are certain to have bi folding doors that are perfect for your property and add value to modernize your home. Our PVC bi folding doors and aluminium bi folding doors are available in a variety of different sizes and designs, making them incredibly versatile as they can be manufactured in the material of your choice. Each bi folding door is also fitted with multi-point locks as standard, to ensure that your folding doors give your home the best level of security. 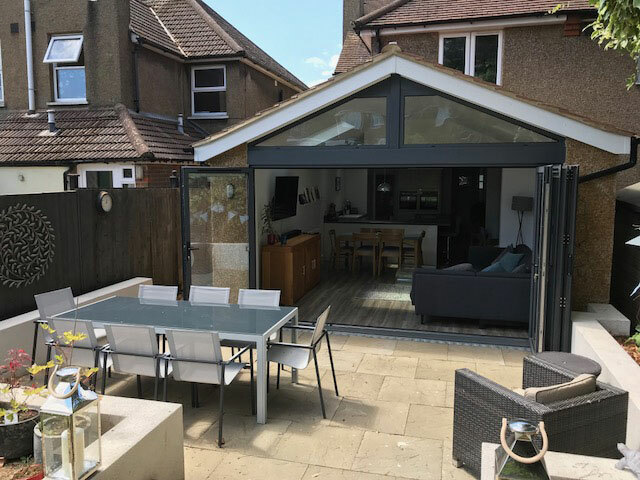 As a fantastic alternative to French doors or patio doors, our bi fold doors have an elegant and contemporary appearance with plenty of benefits. Maximised light: When the doors are closed, they behave simply as a wall of glass allowing more light into a room than a standard window or door. 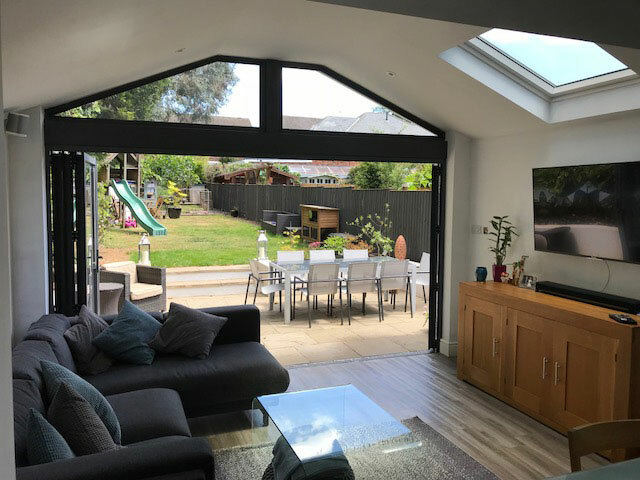 Optimised living space: Opening a bi fold door means all the barriers are removed between the outdoors and your home, creating a transformation of space. Practicality: When bi fold doors are open, they take up very little space, making them compact as they concertina back on themselves. Increased home value: Bi fold doors can bring simplicity and style that can add a high-end interior touch to your home. Durability: Throughout the year, you don’t need to worry about the change of seasons as bi fold doors will not bend or split in the heat. 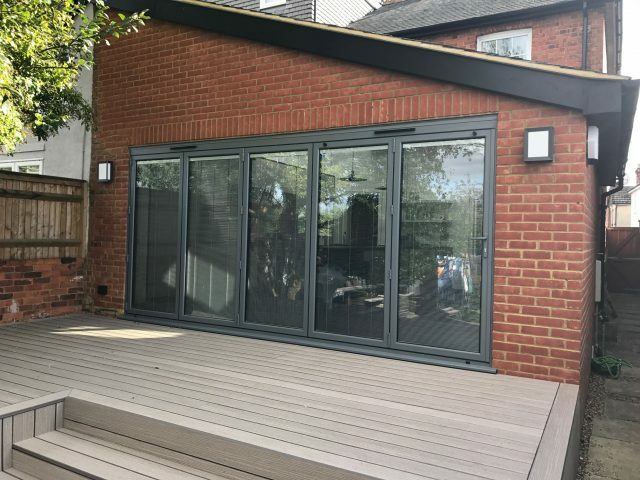 Added home security: Our bi fold doors feature multi-point locks which offers an extra level of security in comparison to regular single lock doors. Excellent energy efficiency: The doors are insulated to ensure very little heat can be lost, with our high-quality glass and seals. 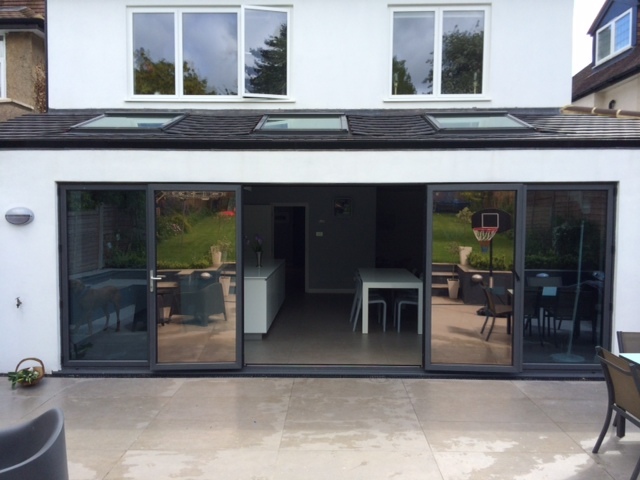 How much does a Bi fold Door cost? It is hard to calculate a price for the cost of your bi fold door as prices can cost anything from £1,400, depending on the material, size and installation of the door you wish to be fitted. Sizes can be measured from 1.8m to 4.8m and the larger the door, the larger the price. Installation should take anywhere between half a day and a couple of days, depending on the size of the door and the complexity of the job. The installation price often assumes that there is a door that needs to be replaced. If you are looking to expand an existing doorway then that may cost extra. All door installations are undertaken by our highly trained and experienced staff, with no part of the job outsourced to any outside company, meaning you receive the very highest standard of workmanship possible. 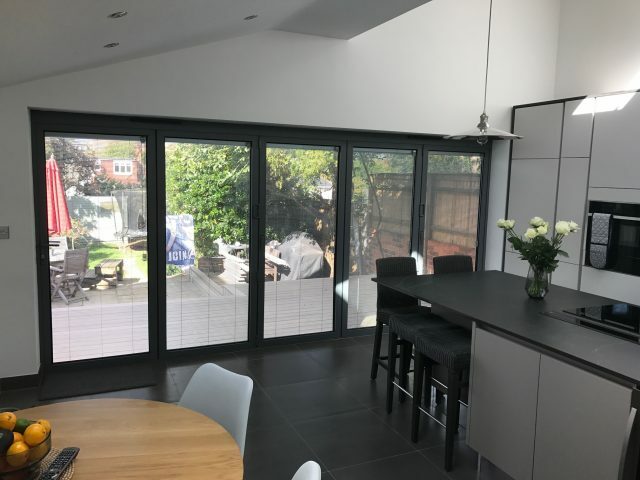 After going over the designs and ideas with you, we manufacture the bi folding doors on-site, according to your specification, then use our own installation team to fit the doors with minimal disruption to your schedule. 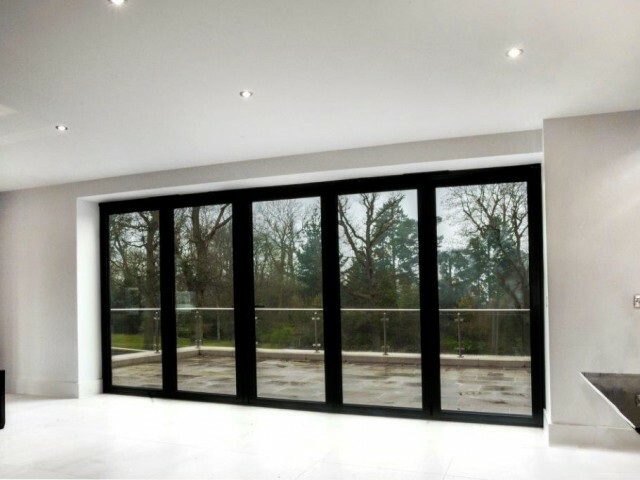 All our bi folding doors are manufactured in Buckinghamshire, built on-site and custom designed to suit your specific requirements. Take inspiration for your upcoming home improvement project by viewing our bi folding door gallery. For more information on our range of bifolding doors, home installations or any of our other fantastic products, speak to a Window Wise consultant on 01923 260636. To view our full collection of products you can request a brochure or arrange a visit our showroom.